You can use the fresh or dried leaves in cooking whether its Italian Cuisine or adding to your stuffing, roasting potatoes or chicken. You can even add it to you favorite bread recipe. You can even infuse it into olive oil and use in salad dressings or to flavor foods. You can even make an herbal tea with this fine plant although I have not tried that yet. You can also add to soups and stews. My favorite bread is a rosemary-olive oil bread! Yum! I also love and use Rosemary Essential Oil. Shakespeare’s Hamlet has often been quoted for this line ” Here’s rosemary, that’s for remembrance”. 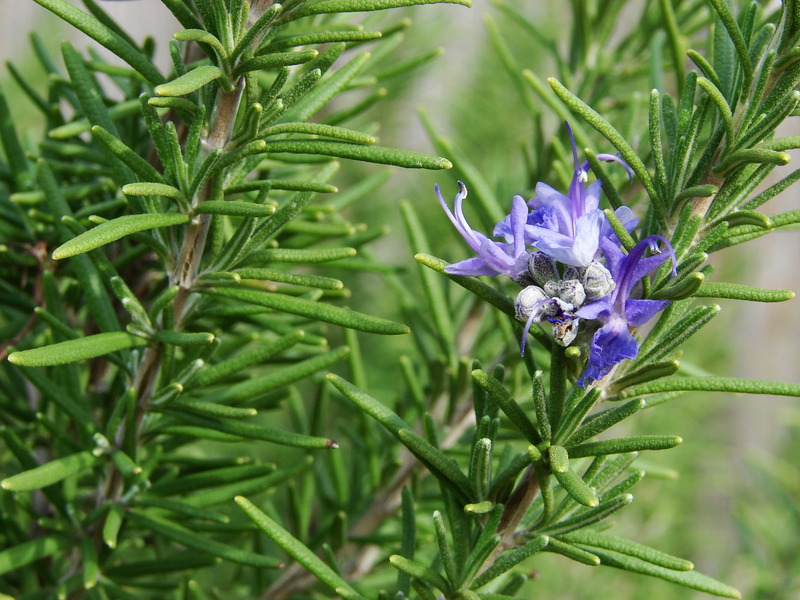 Rosemary has been associated with memory and as I have said in an older post here your nose has a direct path to the memory center in your brain. When I was going to night school for massage therapy and being the oldest student, I sniffed allot of rosemary essential oil during that time and I feel it did help. There have even been studies on the effects of rosemary essential oil ( note this is not rosemary herb infused in say olive oil but rosemary essential oil steam distilled from the leaves) on memory. Have you tried any of our rosemary scented soaps like Rosemary Mint ~~ Rosemary Lemongrass ~ LavenderRosemary ~~Healthy Hair Shampoo ? I love the folklore about the Virgin Mary and rosemary’s blue flowers. And I absolutely love to roast potatoes with big stems of Rosemary on top. Yum!